Juvederm Volbella is a brand new lip filler. Like other fillers in the Juvederm family it is a hyaluronic acid filler, which makes it very well accepted by human tissues and also very safe. However, the hyaluronic acid in Volbella is specifically formulated for use in and around the lips. Juvederm Volbella has many advantages over other lip fillers. First, it has a somewhat lower concentration of hyaluronic acid, making it lighter and softer than other lip fillers. This results in Volbella being able to fill the lips and improve lip lines in a subtle and natural manner. In addition, the Volbella gel is specifically formulated to not swell after injection in the lips. This leads to a quick recovery after the treatment is finished. Lastly, results from Volbella can last for up to a year, substantially longer than other lip fillers. These attributes make Juvederm Volbella an ideal lip filler. The FDA approved Juvederm Volbella in 2016 after a clinical trial involving 168 patients. The clinical trial confirmed that Volbella is safe and effective for enhancing lip fullness and for reducing lip lines. Although it has been used in Europe for over five years and in thousands of patients, Volbella is just now becoming available to aesthetic practices in the United States. We are very excited about the introduction of Volbella into the Juvederm family of fillers. We anticipate that it will rapidly become the lip filler of choice. The ideal candidate for Juvederm Volbella treatment is a healthy person who wishes to have fuller lips and reduced lip lines around the mouth. 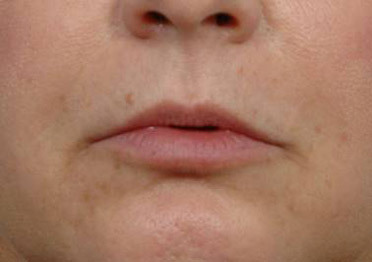 Juvederm Volbella treatment results in smoother, fuller, and supple lips with the result lasting for up to 12 months. The treatment is easily tolerated. Patients are first numbed with a numbing cream. In addition, the Volbella gel contains lidocaine, a numbing agent. The addition of lidocaine to the gel further reduces any discomfort from the treatment. As the treatment proceeds the tissues get more and more numb over time. For these reasons, nearly every patient will have a comfortable experience. Patients resume their normal activities immediately after leaving the office. Some patients may experience slight swelling or bruising, which should last for no more than a few days. Juvederm Volbella can also be combined with the other Juvederm fillers, including Juvederm Ultra, Juvederm Ultra Plus, and Juvederm Voluma to further enhance the result. When this is done, the facial contours and cheekbones can be enhanced, the nasolabial and other facial folds can be reduced, and fine lines and wrinkles in the face softened. Juvederm Volbella is a brand new lip filler. Like other fillers in the Juvederm family of products it is a hyaluronic acid filler, which makes it very safe and very well accepted by human tissues. However, the hyaluronic acid in Volbella is specifically formulated for use in and around the lips. Which areas of the face are commonly treated with it? 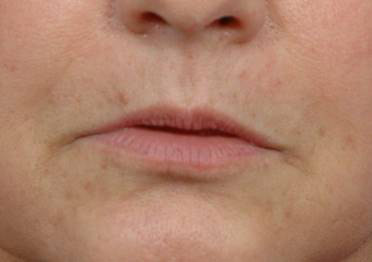 Juvederm Volbella is FDA approved for treatment in the lips and the surrounding lip lines. The FDA approved Juvederm Volbella after a clinical trial involving 168 patients. The clinical trial confirmed that Volbella is safe and effective for enhancing lip fullness and for reducing lip lines. Clinical trials have shown that Juvederm Volbella will last for up to 12 months in the lips. This is significantly longer than many other lip fillers. Who are the ideal candidates for treatment with Juvederm Volbella? What is the difference between Juvederm Volbella and the others formulations of Juvederm? Juvederm Volbella is formulated to be lighter and softer than the other Juvederm preparations. This lighter gel results in Juvederm Volbella being able to fill the lips and improve lip lines in a subtle and natural manner. In addition, Juvederm Volbella is specifically formulated to not swell after placement in the lips. Is treatment with Juvederm Volbella painful? No. Patients are numbed prior to treatment with a numbing cream. In addition, Juvederm Volbella has an anesthetic within it, so that as the treatment proceeds the tissues get more and more numb over time. Most patients will have a comfortable experience. How are the different Juvederm fillers used? Juvederm Volbella is used to fill the lips and soften surrounding lip lines. Juvederm Voluma is formulated to add volume to the face, especially to the cheek, cheekbone, and chin areas. The other formulations of Juvederm (Juvederm Ultra and Juvederm Ultra Plus) are used to reduce and smooth wrinkles, folds, and fine lines around the nose, cheeks, and the rest of the face. Yes. By combining Juvederm Volbella with Juvederm Ultra, Juvederm Ultra Plus, and Juvederm Voluma, the facial contours and cheekbones can be enhanced and the wrinkles, folds, and fine lines that also occur in the face as part of the normal aging process can also be treated. The treatments can all be done at the same time in one treatment session. Juvederm Volbella helps plump up lips and smooth out lines and wrinkles around the mouth as hyaluronic acid within the gel attracts and retains moisture.